This month we get to hear from Austin SCBWI Assistant Regional Advisor, Shelley Ann Jackson. Shelley tends stories, small livestock, a husband and an adorable daughter with wit and grace and an eye for the extraordinary in the ordinary. It's always a pleasure to hear more about our members, and this month is no exception. Read on to hear more about Shelley's exploits exploring attics, dissecting dolphins, and pursuing King Montezuma's Chihuahuas. I always loved reading, writing, drawing and painting, but when I was a kid, I dreamed of being a veterinarian. Then one summer, I went to marine biology camp and took part in a dolphin dissection. Have you ever smelled a dead dolphin? I decided to set my sights on less stinky pursuits. I think I went the route of visual art over writing because of my teachers. At every level of education, I had amazingly inspiring, generous and positive art teachers. On the other hand, I was accused of lying and plagiarizing by writing teachers. When an angry teachers says, “I don’t believe YOU could have written this,” the stench is worse than any dead dolphin. I stayed away from writing until much later, when I decided to try illustrating picture books and needed a dummy book for my portfolio. I found that I enjoy writing as much as illustrating, and it is easier for me to do in the limited chunks of time that I have these days. I’m not as confident in my writing skills though, so I’m earning an MFA in Writing for Children and Young Adults from Vermont College. A lot of goofing off and reading with my daughter, caring for dogs, fish, frogs and chickens and miscellaneous mom duties. Depending on the season, they would probably see me teaching illustration and design classes and helping to plan SCBWI events. But also some reading, jotting down of ideas in my sketchbook, and writing of stories. On a good day, they would see some serious drawing or painting, too! They would definitely not see vacuuming. It’s just doesn’t happen that often around here. Shelley with one of her biggest fans, Harper. How does your everyday life feed your writing and illustrating? My daughter, Harper, is my greatest inspiration. Things she says and does always have me laughing, worrying, or feeling deeply: all fodder for stories. Plus she’s super cute and the best drawing model ever. Our pets are also incredibly silly and one of my go-to subjects for inspiration. My college students also inspire me with their creativity and passion. And I’ve had to learn a lot of new techniques to be able to teach them. Still, they show me things I’ve never seen before! Tell us about some of your accomplishments that make you proud (writing/illustrating and/or otherwise). My proudest accomplishment is my daughter—I might have mentioned that she’s amazing. I know it happens all the time—like, every day even—but it still blows my mind that I made a person. Inside my body! That’s crazy, right? 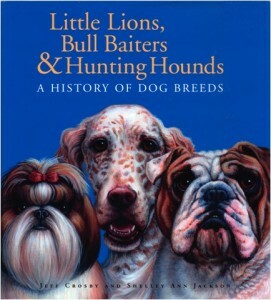 Aside from that, my first picture book, Little Lions, Bull Baiters & Hunting Hounds: A History of Dog Breeds, was a huge personal triumph. My husband, Jeff Crosby, and I wrote and illustrated the book together, working on it in the spare time we had (between paying jobs) and sent it around for over 5 years. We made changes when publishers were sort of interested, waited long months for their replies, followed up politely, and moved on when they finally said “no.” But we believed in this project, so we never gave up. We finally met an agent at an SCBWI workshop who took notice and he later found a home for it. Even still, it was a long haul working with the publisher on a 72 page non-fiction book. We finally got approval on sketches the month that our sweet daughter was born. We had to complete over one hundred illustrations during the first three months of her life. Our years of hard work paid off in a beautiful book (if I do say so, myself) along with an SCBWI non-fiction research grant, a ForeWord Magazine gold medal, a Cybil award nomination, and more. I’m getting a little teary-eyed thinking about how hard we worked on this book and the tenacity it took to get it published. I’m proud of other books I’ve worked on, too, but this one was truly a labor of love and showed Jeff and I what we can accomplish if we put our minds to it. What surprises you about the writing and illustrating life? That I can’t give it up. I’ve tried. And I still think about it often. It’s a lot of hard work, long hours, little pay, and it’s riddled with rejection—and I’m a sensitive creative type! I’m being pulled so many other directions that it’s a struggle to even finish a new portfolio piece. But I really, really enjoy it deep in my soul. That sounds corny, but it’s true. Remember how I almost started crying when I was talking about my first book? I would not be happy if I gave up writing or illustrating. So I just do what I can. Sometimes I feel like I move at a snail’s pace, but I’m still moving. Your writing and illustrations are like a gift for your readers. When they open it, what do you hope they find? Since I talked so much about Little Lions, I’ll answer specifically to that book. My main goal was to show kids the connection between the specific job a dog breed was bred for and the animal as a pet. You know how each breed is known for a quirky behavior? Some dogs inhale their food, others play with it. A lot of that goes back directly to their original job. Pack hunters were fed together. Food was thrown out and they had to eat quickly or not at all. (Have you ever eaten with a friend from a large family? They are the Dachshunds and Beagles of the human world!) Likewise, we wanted to show the history in the art. Many of the breeds were developed pre-photography, so kids have never seen King Montezuma with all of his Chihuahuas, or Borzois taking part in royal wolf hunts. We wanted to show kids the dogs that they know doing these incredible things that they’ve never seen before. Come to think of it, I’d like it if all my books showed kids something that they can at once relate to and are astounded by, touching their hearts and firing their imaginations. Author bio: Shelley holds a BFA in communication design from University of North Texas and an MFA in illustration from the School of Visual Arts in New York City. She has collaboratively written, illustrated and designed two picture books with her husband, Jeff Crosby: Little Lions, Bull Baiters & Hunting Hounds: A History of Dog Breeds and Harness Horses, Bucking Broncos & Pit Ponies: A History of Horse Breeds. 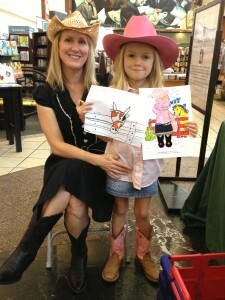 She has co-illustrated two additional picture books, Upon Secrecy and the newly released Ten Texas Babies. Shelley has been teaching art and design for many years, currently at Texas State University and The Contemporary Austin Art School at Laguna Gloria. 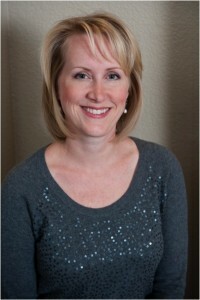 She serves as the assistant regional advisor for the Austin chapter of SCBWI. Visit her at ShelleyAnnJackson.com.